Apple’s latest mobile operating system, iOS 5, will be released any time now. With a host of great new features, including improved notifications, wireless sync, and iCloud, many users will understandably be eager to update. 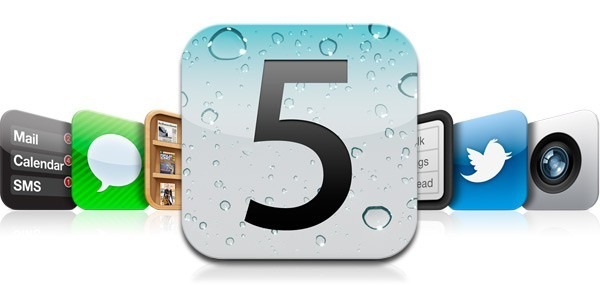 However, some users may hesitate, waiting to ensure their most-used apps are iOS 5 compatible. Today, I’m happy to report that DejaOffice 1.2.5 and above is iOS 5 ready! We’ve been testing our app on the beta builds for some time now and have not seen any issues when using DejaOffice on iOS 5. So, just ensure you’re running the latest version of DejaOffice by checking for any updates in the App Store, then go enjoy the new features in iOS 5! We’re loving the new notification system – what about you? This entry was posted in Announcements, Support Updates and tagged apple, dejaoffice, ios 5, ipad, iphone, ipod touch by David. Bookmark the permalink. iCloud Calendar stores in a different file than the default Outlook Calendar. There are a couple of ways to do what you want. Please email your details to social@companionlink.com and we’ll be able to guide further. I downloaded the latest version of DejaOffice (ver 1.3.3) and tried to sync my Iphone 4 with IOS 5.1 with Outlook 2007 for Notes. It did NOT work. ie. any notes created on my Iphone were NOT created in Outlook. What am I doing wrong? Any events that are on the iCloud calendar aren’t syncing to the Dejaoffice calendar. What’s up with that? I haven’t heard of that being an issue – let me check with our developers. In the meantime, it would be helpful to know what your specific sync setup looks like (device, what you’re syncing to, how you’re syncing). Same problem – iOS 5.1 iPhone 4S. To clarify, you are syncing DejaOffice with the native iPhone calendar app, but iCloud calendar based events aren’t showing up in DejaOffice? Since downloading iOS 5 I seem to be having a problem with lag time. Tap on a contact and there is a 4 to 6 second lag time. Looking up a name, when tapping the letter, the letter freezes for 4 or to 6 seconds before you can type in another. Several other area’s have the same problems………..
What device are you using (iPad, iPhone 4, ect)? Roughly how many contacts do you have? I have the same problem. I am new to iPad wifi synch with companion link. I have 4700 contacts how many do you have? @30855a48640f15769d1a9f2da8d15c44:disqus and @2d1001d9dd9065acf0341bbf704f58b0:disqus – There is a known bug that affects some users in this way. We’re working on a fix as we speak and are hoping to have it out soon. I want to apologize for an inconveniences this bug causes you! In the meantime, one work-around that we’ve seen success with is uninstalling DejaOffice, then reinstalling it. Next, do a “Purge & Reload” on your first sync. After that, avoid doing further “Purge & Reload” syncs until we’ve patched the bug. If you have any further questions, just ask.